Today on Fathers Day I am remembering my father William George TIMMINS who was born 20th May 1916 in Chester. He died in 1986 and memories of him are slowly fading. There is a photograph however that rekindles memories; it is one that mum always had around the house until she passed away in 2008. 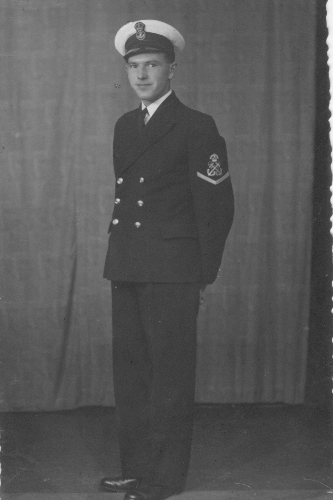 This was of my dad aged about 27, he was in the Royal Navy; it was taken during the second world war when he was stationed in Gibraltar (c1943). It is sad how the memories begin to fade, even when we were adults when we lost our fathers. This is a wonderful photo of your father. He was very handsome.